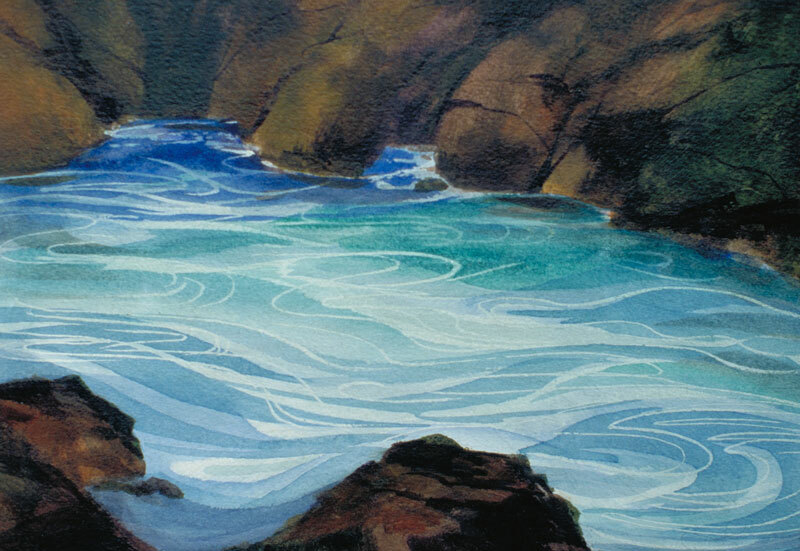 Thomas Freeman Original Watercolor Painting: "Pacific Inlet"
Modeled after a small tidepool area down by point Lobos, this is a stylized interpretation. I emphasized the blues and greens of the ocean and then stylized the ebb and flow movement of the water. The dark rocks, through their contrast, further emphasize the water's color.